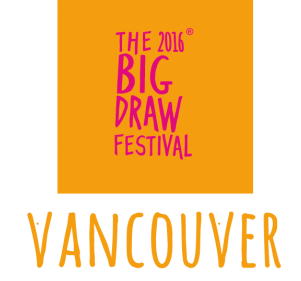 Join us for the official launch of the Vancouver Draw Down celebrations at the Vancouver Public Library before heading off for your day of drawing at Draw Down workshops across the city. At this special launch, contemporary dance and drawing collide to create a delightful and energetic performance by Dezza Dance! Dancers Desirée Dunbar, Heather Lamoureux, Alisha Lemire, Carly Penner and Samantha Svensk will inspire you to get drawing with their unique dance show. Desirée Dunbar’s genuine, playful and passionate approach to dance has touched the hearts of students and audience members worldwide. She will teach anyone to dance anywhere, anytime. Desirée Dunbar has dedicated over 25 years to studying and teaching dance and She pursued graduate studies on scholarship at the University of Arizona and has recently returned back to Vancouver where she has launched Dezza Dance to present innovative, soulful and energetic contemporary dance works that delve deep into the mysterious nature of life. She is a summer faculty member of Trinity Laban Conservatory in London.